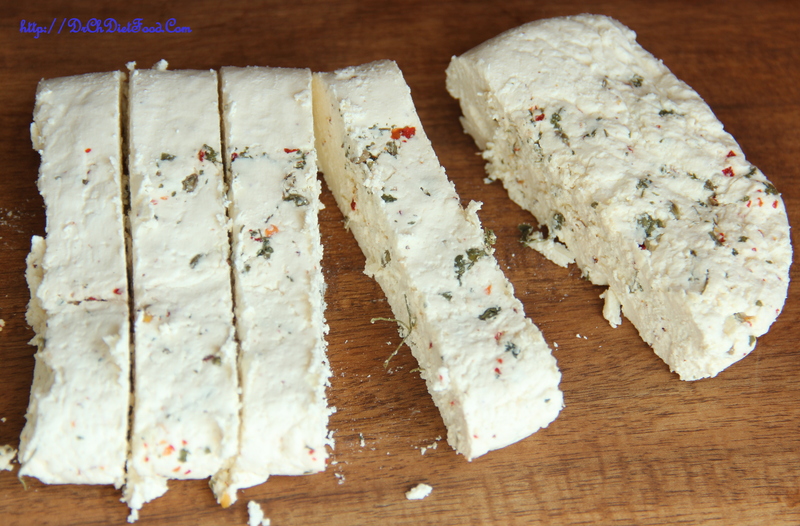 The unsalted fresh white cheese is fantastic with strong flavoursome sauces, and the yoghurt in the marinade starts to break down the paneer and the vegetables, allowing them to absorb even more flavour. 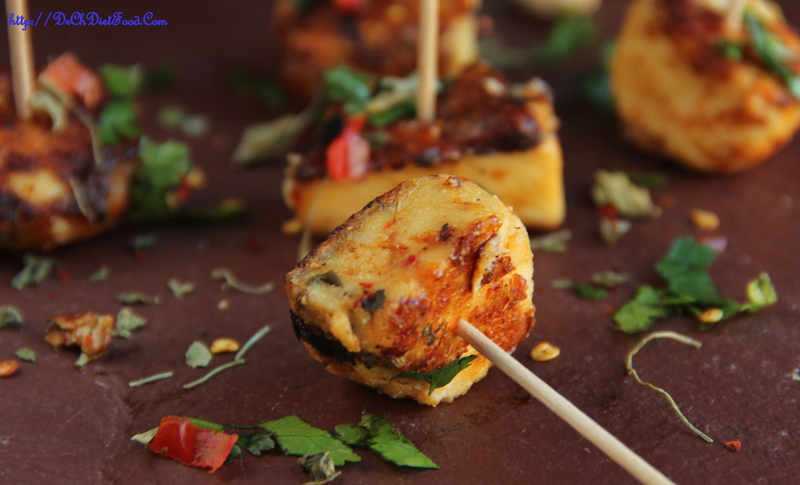 It makes a fantastic snack or even a pre-dinner canapé, serves drizzled with lime juice or the dressing below as a dipping sauce. Coarsely crush/grind garlic, coriander, green chillies in a food processor/in a mortar and pestle. 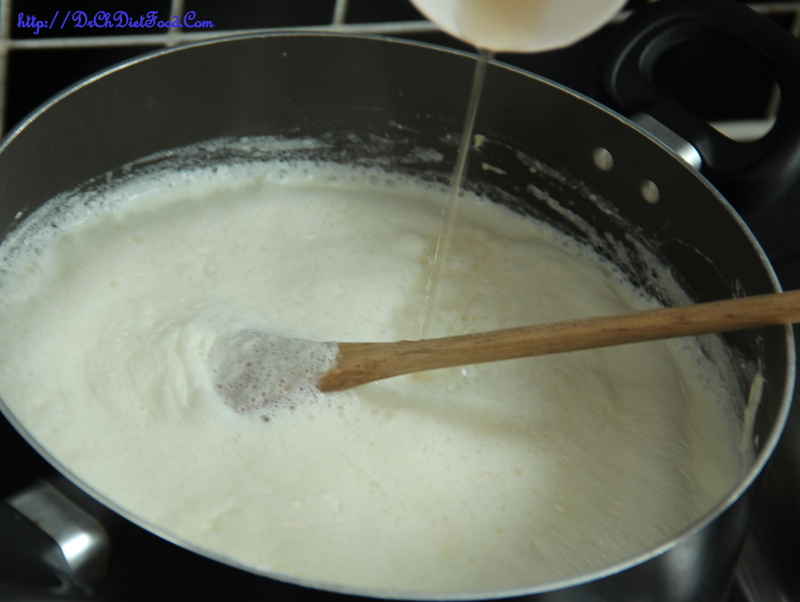 Transfer to a mixing bowl and whisk in yogurt, turmeric, salt, cumin powder until combined to form a thick paste. 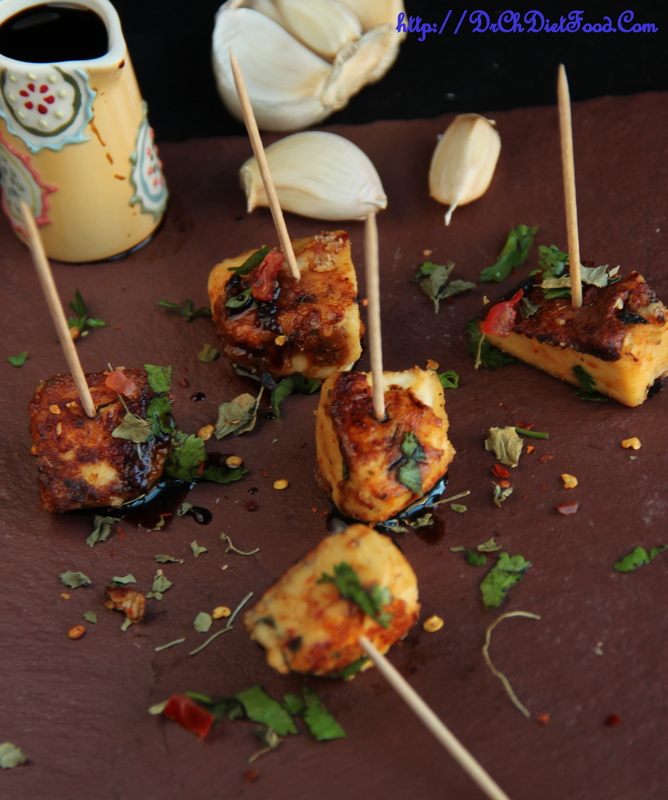 Cut each block of paneer into equal sized cubes and add to the marinade mixture – stir to coat well. Heat the pan over a medium flame and drizzle some oil on base of the pan. When hot place the slices in batches and cook until golden underneath, then turn over and cook until golden all over. Serve hot/warm drizzled with some lemon juice/soy sauce. 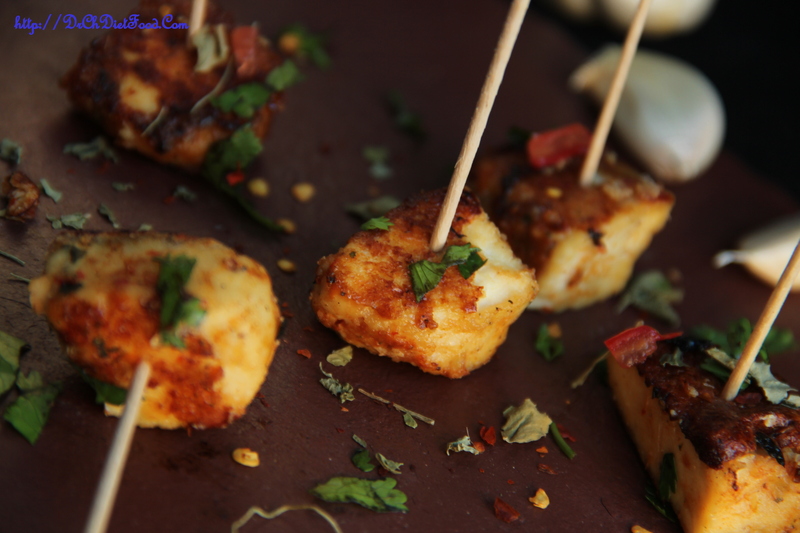 Posted on July 16, 2015, in Indian, Side dish, Starters and tagged cottage cheese appetizers, easy finger foods, marinated paneer, paneer dry, paneer skewers, paneer starters, Spiced paneer. Bookmark the permalink. 26 Comments. This looks amazing just pinned for future reference! Yes agree – this looks yummy…. Thanx a ton…. glad you liked it… have a wonderful weekend. ..
We tried today… it came out very well. Went off from plates in seconds.